Dave, 07 May 2014When I take a picture the phone sometimes restarted.Have someone the same problem?Why are you using such a rubbish camera to take pictures anyway? When I take a picture the phone sometimes restarted.Have someone the same problem? Is samsung G400 found in east Africa, Tanzania? is it found in mlimani supermarket in dar es salaam city? any one pls help i want it. honestly i love this phone.I bought it in china and i have been using it ever since 2008.My only problem now is battery can i anyone tell me where i can i have it since i am back home Nigeria. 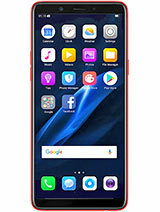 im from egypt and i need this phone where can i get this phone ??????? plz can anyone tell me ?????? Hi Guy, can you please tell me where I can buy this phone online? I need a brand new one. Does this phone still got sell now? guys plzzz how can ever purchase this item ?????? Can I ask Filipino users where they bought theirs? And if it is not available in the Phil. anymore, can you recommend a samsung cellphone with cheap price, good camera and great sound for mp3. It still works, I think, but I can't recharge the battery. I took it in to have it repaired today: I _SO_ hope it can be repaired. Only 2 years old: it would be a sin. - The menu is very user friendly, no need to search for functions or settings. - Keypad is nice and big (main reason why I bought it). - 5 MP camera with autozoom(!) and flash, that makes perfect pictures. - All the usual options: mp3 player, going online, memory card, Java, Bluetooth... you name it. - Recharging the battery works via a computer too (a nice bonus). The nicest cellphone I ever had. And it is damaged.